The Site offers streaming video content and related editorial and interactive material of and related to AVP. Content may include, but is not limited to: athlete interviews and biographies, tournament and practice video, behind-the-scenes footage, user polls, photo galleries and news and information. Please be aware that some material may contain explicit content. By purchasing any Services via the Site, you acknowledge and agree that your credit card is being charged by the payment processor of Screenpush, an Operator of the Site. The content and materials contained within the Site (including, without limitation, video, audio, photos, text, images, names, likenesses, logos and all copyrights and intellectual property related to the Site, AVP and AVP’s sponsors, licensees and other affiliates) (the “Content”) are either owned by or licensed to AVP. The Content from the Site may not be reproduced, republished, uploaded, posted, transmitted, reproduced, distributed, copied, publicly displayed or otherwise used in any manner, except as expressly provided in these Terms of Service, without the express written permission of the Operators. The Operators maintain the Site for your personal entertainment, information, education, and communication. Please feel free to browse the Site. The Site is provided for your private and non-commercial use. You may download one copy of each piece of material displayed on the Site to any single computer for your personal, noncommercial use only, provided that you also retain all copyright and other proprietary notices contained on the materials. You may not, however, distribute, reproduce, republish, display, capture streaming files, download, upload, prepare derivative works based upon, modify, transmit, reuse, repost, or use any materials of or from the Site for public or commercial purposes on any other Site or otherwise without the express written permission of the Operators. Modification of any materials displayed on the Site in any manner is a violation of the Operators’ rights and/or copyright and other proprietary rights. The word marks and logos of AVP are the exclusive property of AVP or the applicable entity. All other word marks and logos (each, a “Trademark” and, collectively, the “Trademarks”) appearing on the Site are Trademarks of their respective owners. Nothing contained on the Site should be construed as granting, by implication, estoppel, or otherwise, any license or right to use any Trademark displayed on the Site in any manner without the express written permission of its respective owner. Any use of the Trademarks displayed on the Site, or any other content on the Site, except as provided in these Terms of Service, is strictly prohibited. Images of people or places displayed on the Site are either the property of, or used with permission by, the Operators. Any use of these images by you, or anyone else authorized by you, is prohibited unless expressly permitted by these Terms of Service or by express permission that is granted elsewhere on the Site. Any unauthorized use of the images may violate copyright laws, trademark laws, the laws of privacy and publicity, and communications regulations and statutes. The Operators neither warrant nor represent that your use of materials displayed on the Site will not infringe upon the rights of third parties neither owned by nor affiliated with the Operators. The Site is available to individuals aged thirteen (13) years or older. If you are thirteen (13) years or older, but under the age of eighteen (18) years, you should review these Terms of Service with your parent or legal guardian to make sure that you and your parent or legal guardian understand these Terms of Service. You may receive a password upon completing the registration process. You are solely responsible for maintaining the confidentiality of the password, and are solely responsible for all activities that occur under your password. The Operators are not responsible for any loss or damage arising as a result of your failure to comply with this Section 3. Message and Screen Name Review. Screenpush and its independent, third-party providers (the “Vendors”) act as a passive conduit in connection with your use of Message Features. Screenpush and its Vendors have the right, but not the obligation, to review, edit or delete any Message or Screen Name transmitted by you that they believe may create a liability for them, and also to deny access to any Message Feature. Display of any Message or Screen Name in any Message Feature does not constitute its approval or endorsement by Screenpush or its Vendors. Messages submitted to the Site by electronic mail or otherwise, including any data, questions, comments, suggestions or the like are, and will be treated as, non-confidential and nonproprietary. By submitting a Message to the Site, you acknowledge that any information disclosed by you therein (i) may be used by any third party; (ii) is not confidential and may be read or intercepted by others; (iii) creates no confidential, fiduciary, contractually implied or other relationship between you and the Operators other than as expressly set forth in these Terms of Service; and (iv) is subject to the grant of Rights to the Operators described in Section 5 below. By transmitting any Message (see Section 4 above regarding Messages) or submitting creative ideas, concepts, know-how, techniques, suggestions or materials (each, a “Submission” and, collectively, “Submissions”), you are granting the Operators a perpetual, royalty-free, non-exclusive, unrestricted, worldwide and irrevocable right and license to use, reproduce, modify, publish, translate, prepare derivative works based upon, distribute, perform or display such Submissions, in whole or in part, in any form, media or technology known or hereafter developed for any purpose, including, without limitation, advertising and promotional purposes (collectively, “Rights”). This means that anything submitted by you on or to the Site will be owned exclusively by AVP and may be used by AVP for any purpose, now or in the future, without any payment or other obligation to you. All Submissions, whether solicited or unsolicited, shall become and remain the exclusive property of the Operators. The Operators shall also have the absolute right, but not the obligation, to use your name in connection with the broadcast, print, online or other use or publication of your Submission without seeking or receiving your further consent. Solicited Submissions: At times, the Operators may solicit Submissions from visitors to the Site, including, without limitation, information, ideas, artwork or other materials. It is our practice to post notices on the Site regarding our planned use of such materials where we solicit the Submission. Your provision of information in response to such a solicitation is a grant by you to the Operators of the Rights described above. Unsolicited Submissions: Although we welcome your comments regarding, and your ideas and proposals for the Site, it is the Operators’ policy not to accept or consider any Submissions that are unsolicited. We hope you will understand that the intent of this policy is to avoid the possibility of future misunderstandings, legal or otherwise, when creative ideas, concepts or materials developed by the Operators might appear to be similar to your Submission(s). Accordingly, we must ask that you do not send us any unsolicited Submissions via the Site or otherwise; we assume no responsibility for reviewing such Submissions and we will not incur any liability as a result of any similarities between your Submissions and future AVP designs, products, programs or otherwise. In the event you do submit unsolicited Submissions, such Submissions shall be deemed, and shall remain, the property of the Operators. As is the case with solicited Submissions, the submission of any unsolicited Submission shall constitute a grant by you to the Operators of the Rights described above. Many areas on the Website may allow you to order products and other services supplied by Vendors. Auctions may allow you to purchase merchandise through an auction process (products purchased through the Store and the Auctions are collectively referred to as the “Merchandise”). 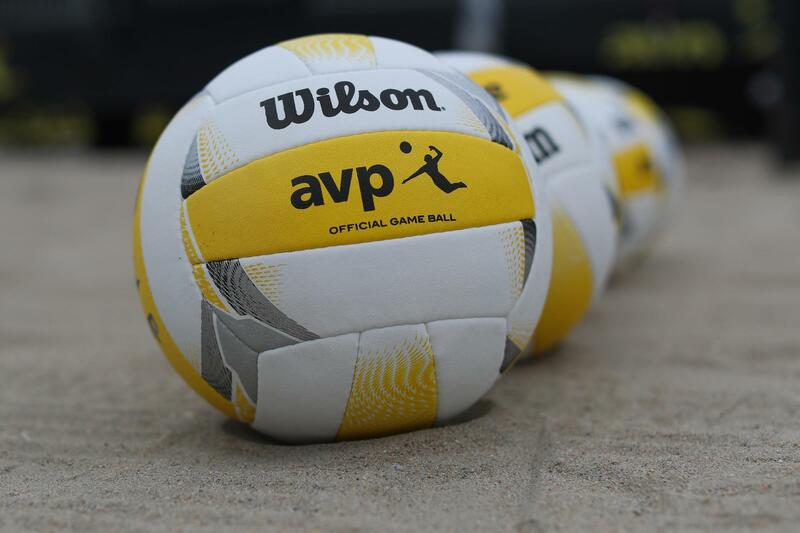 The Ticketing Feature may allow you to order tickets for AVP tournaments and other events. The Ticketing Feature provided through certain webpages may provide the opportunity for you to re-sell tickets and/or purchase previously owned tickets (each, a “Secondary Marketplace”). Such Secondary Marketplaces may be governed by special terms and conditions described on relevant webpages. In the event of a conflict between any Secondary Marketplace’s terms and conditions and this Agreement, the Secondary Marketplace’s terms and conditions shall govern. ALL ORDERS ARE SUBJECT TO PRODUCT AVAILABILITY. Screenpush EXPRESSLY DISCLAIMS ANY RESPONSIBILITY OR LIABILITY FOR ANY DAMAGE, LOSS OR INJURY ARISING OUT OF: THE ACTIVITIES OF ANY VENDOR, THE MERCHANDISE OFFERED BY THE VENDORS, ANY LOSS OR INJURY RESULTING FROM YOUR ACCESS OR INABILITY TO ACCESS THE STORE, AUCTIONS, THE TICKETING FEATURE OR THE SERVICES, OR ANY LOSS OR INJURY ARISING OUT OF YOUR PURCHASE OR USE OF THE SERVICES, MERCHANDISE OR TICKETS. Screenpush reserves the right to modify the price of any Merchandise or Services. Screenpush is not responsible for any error in copy or images relating to Merchandise, Services or tickets. Any auction may be discontinued at any time in Screenpush ‘s sole discretion. Gift Certificates. Within the Store, there may be an opportunity for you to purchase and/or redeem gift certificates (each, a “Gift Certificate”). Gift Certificates are redeemable solely for purchases in the Store. All Gift Certificates are denominated in U.S. Dollars. Gift Certificates are valid until redeemed or abandoned. Screenpush is not responsible for lost or stolen Gift Certificates. The value of a Gift Certificate that is lost, stolen, destroyed, altered or used without your permission will not be replaced or refunded. Screenpush will not honor Gift Certificates obtained by fraud or theft. Gift Certificates are not redeemable for cash. If the value of your Gift Certificate is greater than the amount of your total purchase, you will be able to use the remaining Gift Certificate balance for future purchases, subject to this Agreement. If the value of your Gift Certificate is less than the amount of your total Store purchase, you must use a credit card in order to complete your purchase. The Services are provided for your private, non-commercial use, and you may not distribute, modify, translate, rebroadcast, transmit, perform or create derivative works of them. The Services are subject to transmission limitations of the Internet, including, but not limited to, video and/or audio dropouts, rebuffering or loss of connection. By accepting this Agreement, you agree that Screenpush may notify you about changes to prices or services by sending an e-mail message to your e-mail address on file with Screenpush, and by publishing such notices from time to time on the informational page(s) of the website applicable to the Services. It is your responsibility to notify Screenpush of any change in your e-mail address by logging into the Site and using the online account management tool. Programming, pricing, terms and conditions of Services are subject to availability and change. Subscription activation for Services, and subsequent ability to access Services, may be subject to approval of your valid major credit card and verification of other information that you submit or is otherwise obtained by Screenpush (e.g., your IP address). Applicable taxes are not included and are the responsibility of the subscriber. The Site may offer you opportunities to vote in connection with certain events and also to enter contests and sweepstakes. By participating in any such event, you signify your agreement to all special terms and guidelines set forth on the Site applicable to that event as well as in these Terms of Service. On-line, cable, wireless or other Sites, services or browsers created by, licensed by or substantially associated with any entity that regularly promotes any product (e.g., apparel or computers), brand (e.g., Nike or Pepsi) or service (e.g., Internet service providers or ticket sellers) (each, a “Commercial Site” and, collectively, “Commercial Sites”) may not link to the Site without the written permission of the Operators, even if the page/area where the link originates does not promote a product, brand or service. Sites, services or browsers other than Commercial Sites (e.g., fan sites, chamber of commerce sites, search engine sites, widely available Internet browsers) (each, a “Permissible Site” and, collectively, “Permissible Sites”) may link to the Site without the express written permission of the Operators if such link is: (i) a “word” (as opposed to a “logo”) link (e.g., “The Official Website of AVP”); and (ii) spatially separated from, and not otherwise associated with, any sponsorship advertising, or other commercial text or graphics that may be on the page/area containing such word link. The Site logo, or any other logo of AVP (a “logo” link), may not be used as or to link to the Site without the express written permission of the Operators. No link to the Site may be “framed” by the Permissible Site where the link originated if such “frame” contains any sponsorship, advertising or other commercial text or graphics. All links to the Site from a Permissible Site must be to the Site’s home page — links to internal pages within the Site (e.g., a player page, a photo gallery or a feature article) are not permitted. The posting or creation of any link to the Site signifies that you have read these Linkage Restrictions and agree to abide by their terms. Your correspondence or business dealings with advertisers, or participation in promotions of, advertisers found on or through the Site, including payment and delivery of related goods and/or services, and any other terms, conditions, representations or warranties associated with such dealings, are solely between you and such advertiser. You agree that the Operators shall not be responsible or liable for any loss or damage of any kind incurred as the result of any such dealings or as the result of the presence of such advertisers on the Site. While the Operators use reasonable efforts to include accurate and up to date information in the Site, the Operators make no warranties or representations as to its accuracy. The Operators assume no liability or responsibility for any errors or omissions in the content of the Site. The Operators make no representation that the materials contained in the Site are appropriate or authorized for use in all countries, states, provinces, counties or any other jurisdictions. If you choose to access the Site, you do so on your own initiative and risk and are responsible for compliance with all applicable laws. THE MATERIALS IN THIS SITE ARE PROVIDED “AS IS” AND WITHOUT WARRANTIES OF ANY KIND EITHER EXPRESS OR IMPLIED. TO THE FULLEST EXTENT PERMISSIBLE PURSUANT TO APPLICABLE LAW, THE OPERATORS DISCLAIM ALL WARRANTIES, EXPRESS OR IMPLIED, INCLUDING, WITHOUT LIMITATION, IMPLIED WARRANTIES OF MERCHANTABILITY AND FITNESS FOR A PARTICULAR PURPOSE. THE OPERATORS DO NOT WARRANT OR REPRESENT THAT THE INFORMATION CONTAINED IN THE SITE IS ACCURATE, COMPLETE, CORRECTLY SEQUENCED, RELIABLE OR TIMELY, OR THAT THE SITE WILL BE UNINTERRUPTED OR SECURE OR FREE OF ERRORS AND/OR VIRUSES. YOU SPECIFICALLY ACKNOWLEDGE THAT THE OPERATORS ARE NOT LIABLE FOR THE DEFAMATORY, OFFENSIVE OR ILLEGAL CONDUCT OF OTHER USERS OF THE SITE OR THIRD-PARTIES AND THAT THE RISK OF INJURY FROM THE FOREGOING RESTS ENTIRELY WITH YOU. YOU USE THE SITE AT YOUR SOLE RISK. UNDER NO CIRCUMSTANCES WILL THE OPERATORS BE LIABLE, INCLUDING, WITHOUT LIMITATION, FOR BREACH OF CONTRACT, TORT OR NEGLIGENCE, FOR ANY DIRECT, INDIRECT, INCIDENTAL, SPECIAL, PUNITIVE, EXEMPLARY, OR CONSEQUENTIAL DAMAGES (INCLUDING LOST PROFITS) THAT ARISE OUT OF OR IN CONNECTION WITH ANY FAILURE OF PERFORMANCE, ERRORS, INACCURACIES, OMISSIONS, DEFECTS, UNTIMELINESS, INTERRUPTION, DELETION, DELAY IN OPERATION OR TRANSMISSION, COMPUTER VIRUS, COMMUNICATION LINE FAILURE, THEFT OR DESTRUCTION OR UNAUTHORIZED ACCESS TO, ALTERATION OF, OR USE OF RECORD, OR UNAUTHENTICITY OF ANY CONTENT IN THE SITE, OR THE USE OR INABILITY TO USE THIS SITE OR ANY CONTENT THEREIN. IN NO EVENT SHALL THE OPERATORS’ AGGREGATE LIABILITY TO YOU FOR ANY LOSS, DAMAGE OR CLAIM RELATED TO OR ARISING OUT OF THIS SITE EXCEED THE TOTAL AMOUNTS PAID BY YOU FOR ACCESSING THIS SITE, IF ANY. The Site is subject to transmission limitations of the Internet, including, but not limited to, video and/or audio dropouts, rebuffering or loss of connection. A broadband Internet connection is required to view certain video content. The Site may contain links and pointers to other World Wide Web sites, resources, and advertisers. Links to and from the Site to other sites, maintained by third parties, do not constitute an endorsement by the Operators or any affiliate of any third party site or content. The Operators are not responsible for the availability of these third party resources, or their contents. The Operators have not reviewed any or all of the sites linked to the Site and are not responsible for the content of any off-site pages or any other sites linked to the Site. Your linking to the Site, off-site pages or other sites is at your own risk and without the permission of the Operators. By clicking on any such link, you acknowledge that the Site has no control over, and makes no representations of any kind with respect to, such other sites or any content contained within such other sites, and you hereby revoke any claim against the Operators with respect to such other sites. You should direct any concerns regarding any external link to its site administrator or Webmaster. Your correspondence or business dealings with, or participation in promotions of, advertisers and vendors found on or through the Site, including payment and delivery of related goods or services, and any other terms, conditions, warranties or representations associated with such dealings, are solely between you and such advertiser and/or vendor. You agree that the Operators shall not be responsible or liable for any loss or damage of any sort incurred as the result of any such dealings or as the result of the presence of such advertisers or vendors on the Site or in connection with the Site. All of your business dealings with vendors and advertisers appearing on or through the Site shall be at your sole risk. If the owner, agent, or licensee of any copyright believes that any material contained on the Site or within the Content may infringe on its copyright, notice must be given in writing of the following: (a) identification of the copyrighted work claimed to have been infringed; (b) identification of the allegedly infringing material; (c) information sufficient to enable the Operators to locate the infringing material; (d) a statement that the complaining party has a good faith belief that use of the material in the manner complained of is not authorized by the copyright owner, its agent or licensee, and is not otherwise permissible by law; and (e) a statement that the information contained in the notification is accurate, and under penalty of perjury, that the complaining party is authorized to act on behalf of the copyright owner, agent or licensee. Anyone who knowingly misrepresents that material is infringing in such a notice will be liable for any damages and any associated costs incurred by the Operators as a result. You hereby agree to indemnify and hold AVP, Screenpush and the other AVP and Screenpush Entities and each of their respective members, operators, directors, officers, employees, shareholders, agents, co-branders, licensors, affiliates and representatives harmless from all demands, claims, liabilities, damages and expenses (including reasonable attorneys’ fees and court costs) arising out of or relating to: (i) your use of the Site, including, without limitation, use of any Message Feature or the Store; and (ii) any breach or alleged breach of these Terms of Service; (iii) your connection to the Site; and (iv) your violation of any rights of another. The “AVP Entities” shall mean AVP, AVP.com, the Office of the Commissioner of Pro Beach Volleyball, its Bureaus, Committees, Subcommittees and Councils, Tickets.com, Inc., SportsOnEarth, LLC, the Major League Baseball Clubs, and each of their subsidiaries or affiliated entities, any entity which, now or in the future, controls, is controlled by, or is under common control with the Major League Baseball Clubs or the Office of the Commissioner of AVP, and the directors, officers and employees of the above entities. The Operators may, in their sole discretion, change, suspend or discontinue any aspect of the Site at any time with or without notice, including the availability of any Site feature, database, or content. The Operators may also cancel your registration password, or impose limits on certain features and services or restrict your access to parts of the Site, or the entire Site, with or without notice, and without liability, at any time, in the Operators’ exclusive discretion, without prejudice to any legal or equitable remedies available to the Operators, for any reason or purpose, including, but not limited to, conduct that the Operators believe violates these Terms of Service or other policies or guidelines posted on the Site or conduct which the Operators believe is harmful to other customers, to the Operators’ respective businesses, or to other information providers. Upon any termination of these Terms of Service, you shall immediately discontinue your use of the Site and destroy all materials obtained from it. Software and other materials from the Site may also be subject to United States Export Control. The United States Export Control laws prohibit the export of certain technical data and software to certain territories. No software from the Site may be downloaded or exported (i) into (or to a national or resident of) Cuba, Iraq, Libya, North Korea, Iran, Syria, or any other country to which the United States has embargoed goods; or (ii) anyone on the United States Treasury Department’s list of Specially Designated Nationals or the U.S. Commerce Department’s Table of Deny Orders. The Operators do not authorize the downloading or exportation of any software or technical data from the Site to any jurisdiction prohibited by the United States Export Laws. These Terms of Service shall be construed and controlled by the laws of the State of New York, United States of America. Further, any disputes relating to these Terms of Service or anything contained on the Site will be governed by the laws of the State of New York, United States of America, without regard to its principles of conflicts of laws. Any claim relating to these Terms of Service or the Site shall be exclusively prosecuted in a federal or state court of competent jurisdiction located within the County of New York, State of New York, United States of America, and you hereby consent to the jurisdiction of such court solely for such purposes and you further waive any argument that any such court does not have jurisdiction over such dispute or that venue in any such court is not appropriate or convenient. The Operators will be entitled to recover their court costs and reasonable attorneys’ fees and expenses incurred in successfully proving any breach of any term of these Terms of Service. These Terms of Service constitute the entire agreement between the parties, and supersedes all prior and contemporaneous written or oral agreements, proposals or communications with respect to the subject matter herein between you and the Operators. The Operators in their sole discretion may amend these Terms of Service, and your use of the Site after such amendment is posted on the Site will constitute acceptance of it by you. The section headings in these Terms of Service are for convenience only and must not be given any legal import. If any provision of these Terms of Service is held by a court of competent jurisdiction to be unlawful, void, invalid or unenforceable, the remaining provisions shall remain in full force and effect. The Operators’ failure to exercise or enforce any rights or provision of these Terms of Service shall not constitute a waiver of such right or provision. You agree that, except as may be otherwise expressly provided in these Terms of Service, there shall be no third party beneficiaries to these Terms of Service. You agree that regardless of any statute or law to the contrary, any claim or cause of action arising out of or related to use of the Site or these Terms of Service must be filed within one year after such claim or cause of action arose or be forever barred. You expressly agree not to use or attempt to use any automated device, program, tool, algorithm, process, or methodology or manual process having similar processes or functionality, to access, acquire, copy, or monitor any portion of the Site, any data or content found on or accessed through the Site or any other content without the prior express written consent of the Operators; obtain or attempt to obtain through any means any materials or information on the Site that have not been intentionally made publicly available either by their public display on the Site or through their accessibility by a visible link on the Site; in any way bypass or circumvent any measure employed to limit or prevent access to the Site or its content; violate the security of the Site or attempt to gain unauthorized access to the Site, data, materials, information, computer systems or networks connected to any Site server; interfere or attempt to interfere with the proper working of the Site or any activities conducted on or through the Site; take or attempt any action that, in the sole discretion of the Operators, imposes or may impose an unreasonable or disproportionately large load or burden on the Site or the Operators’ infrastructure. By using the Site, you signify your agreement to these Terms of Service in their entirety. If you do not agree with the terms included herein, you must not use the Site. The Operators may change these Terms of Service at any time and in any manner, and your use of the Site after such changes are posted shall be deemed to indicate your acceptance thereto. Stay in the loop of what is happening with the AVP Academy and hear from Pros, coaches, and other people in the beach volleyball community.